So a new rail operator for Plymouth. I must admit the Virgin trains are very smart in their red livery and the Arriva livery for its buses and trains is incredibly dull unless they have something more exciting in the pipeline. I guess we will have to wait and see what the future brings. 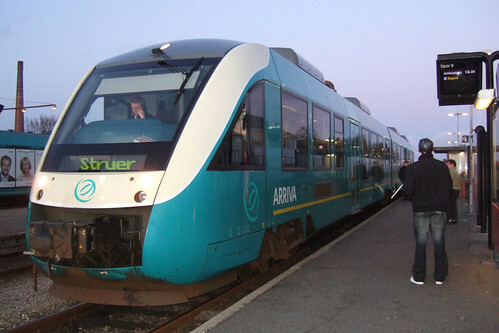 The mock-ups of the new livery are already up on Arriva's new Crosscountry site - look pretty smart in my opinion, although the HSTs look a bit blocky.